New investigations into the biogeography of Asian honey bees are bringing to light previously unrecognized species. 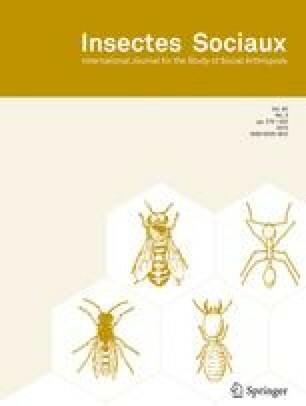 On the Indonesian island of Sulawesi, morphometrically distinct populations of Asian cavity-nesting honey bees occur in close sympatry. One population is the widespread species Apis cerana; the other has been proposed as a separate species, A. nigrocincta. A non-coding region of the mitochondrial genome, located between the leucine tRNA and cytochrome oxidase II genes was sequenced in bees from each colony sampled. Consistent sequence differences were noted between the two putative species. Analysis of Molecular Variance (AMOVA) of Amplified Fragment Length Polymorphisms (AFLPs) in each population indicate little or no gene flow between the two, supporting the status of A. nigrocincta as a separate species. Key words: Apis cerana, Apis nigrocincta, biogeography, AFLP, TE-AFLP, speciation. Received 22 September 2000; revised 5 June 2002; accepted 21 January 2003.